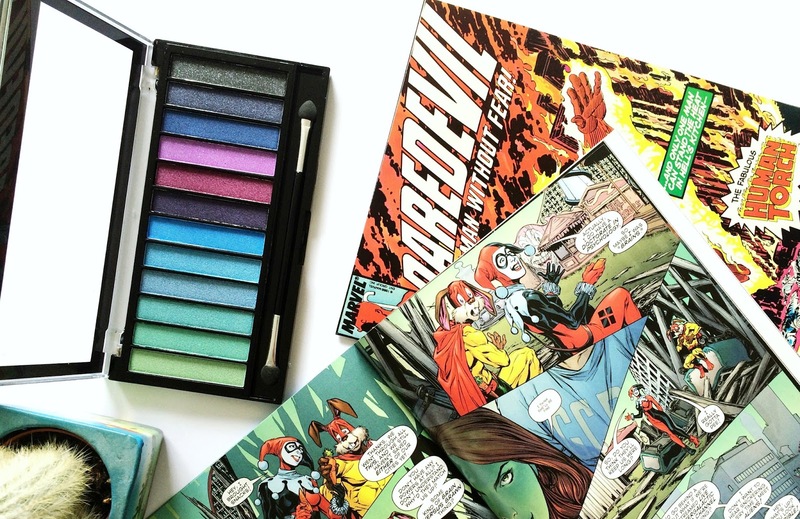 I popped down to our local comic book store with my boyfriend the other day to drop off some issues of 3 Parts Mad, without the intention of going anywhere else until I remembered that the Superdrug around the corner stocks Make-Up Revolution. Hollllly smokes! 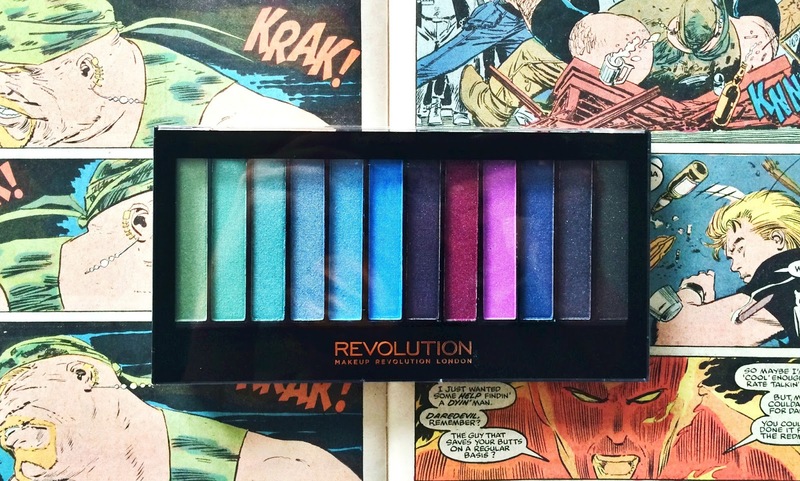 When I saw this palette I had to have it. I've actually had my eye on it for a little while now but never had the courage to put anything brighter than rose on my eyelids. Lately I've been leaning towards the orange/pink horizon (who knows, maybe I'm finally exiting my little emo phase, or entering a more hard 'scene' one. 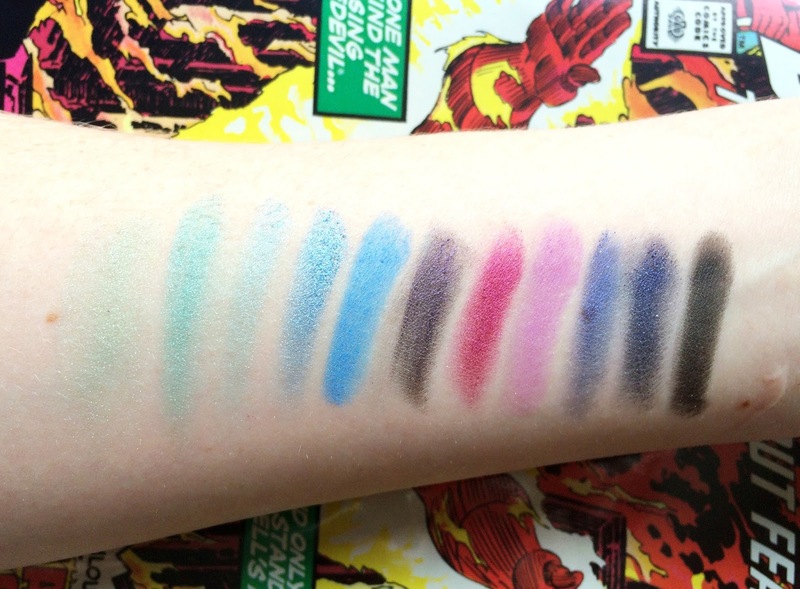 C'mon, we've all been there) and decided that I might as well go big or go home with this AH-MAY-ZING palette. At £4, it's hard to go wrong. Even if I don't suit it then I'm sure I can pack it away for some mermaid fancy dress but I have to tell you, I'm absolutely loving it. I can see it already- Autumn brights along my crease, putting a punch in the early Monday mornings that are yet to grace the weeks I have left of summer. I'd say the palette is pretty seasonal, but the sparkly, cold blues and warm purples can work for that transition from summer to winter easily. As you can see the palette is quite pigmented, except for the greens. My guess is that they're all pretty similar but as the greens are the lightest shades, you might have to use more for them to properly show up. It applies and blends well but the sparkles like to stick themselves to my eyelashes a lot! Usually I'd apply mascara after eyeshadow but I created these looks really quickly so that can be helped. 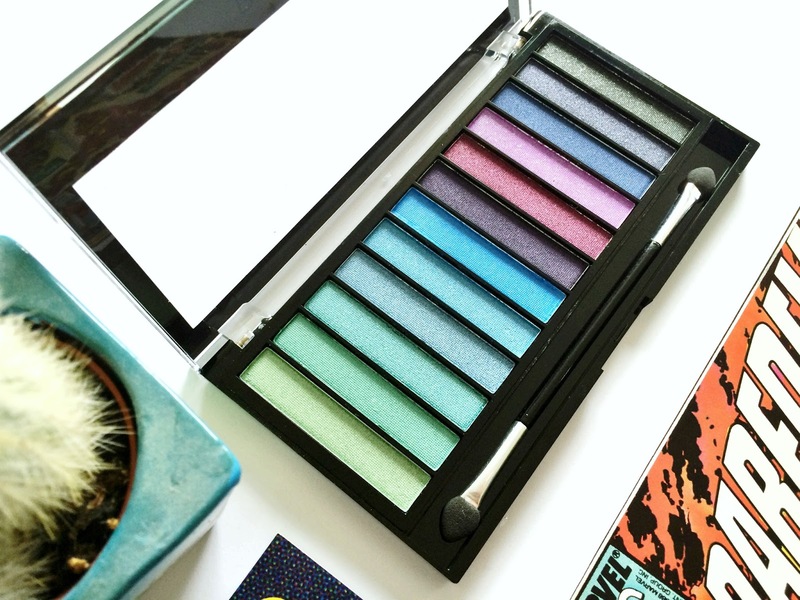 Above, green and blue to show how bold it can be and a softer, night time look with the darker shades. See the mascara I use to get these lashes here. All in all, an absolutely beautiful palette that I'm sure can be used all year round! 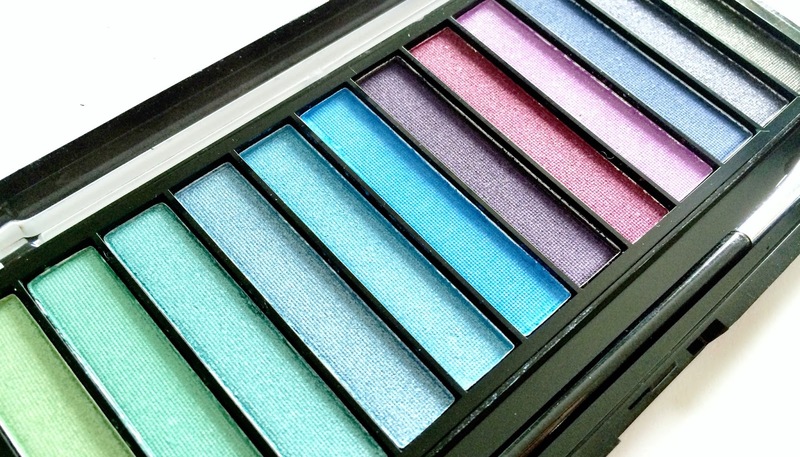 What's your favourite make-up colour scheme? What would you do with this palette?